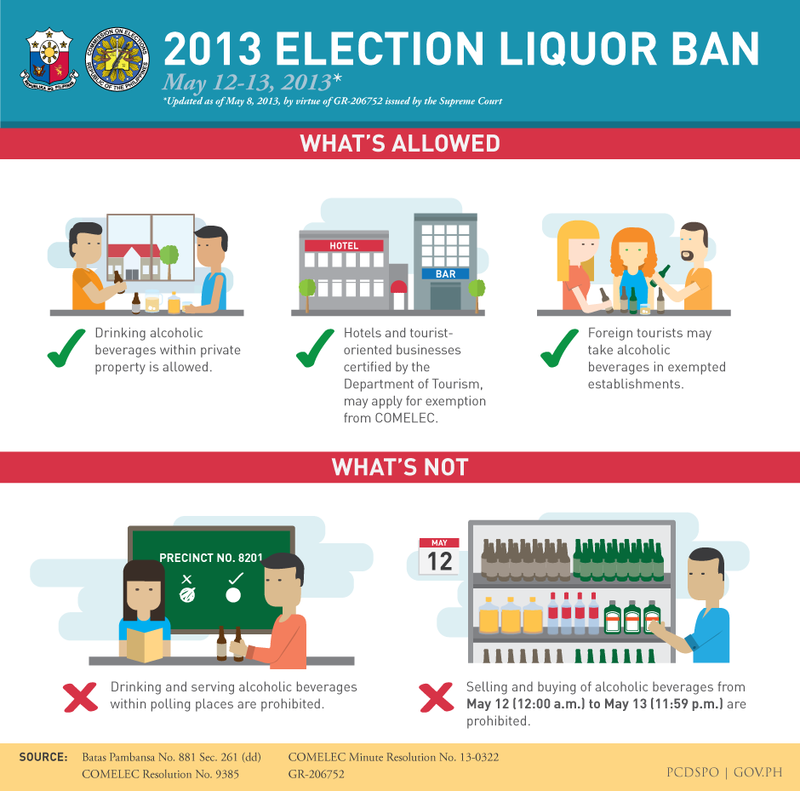 With the May 13, 2013 Philippine 2013 election coming up on Monday, I thought of writing this election voting guide in service of everyone who will be voting. May these suggestions become a guide that you will ponder upon over the weekend for this election and for all coming elections in the future. I hope that it will also benefit readers from other parts of the world as well. This is the first on my list because naturally, everyone who advocates MRP are less likely going to use power for personal purposes. We’ve all heard the same and usual platforms over and over again. So promises are the weakest reason to vote for a candidate. Their proven track record is a better alternative when choosing who to vote. For those who have previously served, we already have a basis by which to judge their performance. Otherwise, we can study their life’s work outside politics and analyze if they have contributed anything noteworthy to society in general. In case they win for the first time, we can also track their performance during their first term in office. You don’t want to elect an official who bosses everyone around. These are the typical power tripping, power hungry candidates. In relation to this, I’d like to quote a few lines from an article written by a fellow freelance writer. He writes, “Ang hirap kasi sa kapangyarihan, nakakaadik. Ang hirap sa mga oportunista, hindi na pwedeng asahang magbago. At ang hirap sa mga botante, hindi natututo.” So let’s not elect a leader but a servant whose heart is set to serve. Still in connection with servitude, the movie The Campaign light-heartedly describes how a candidacy campaign program as a whole can become dirty with tricks. Campaigning alone will necessitate the use of funds so some candidates will turn to capitalists who will support them in exchange for business favors after the election as exemplified by the character of Zach Galifianakis (Martin "Marty" Huggins in the film). Applying this to real life, it will be difficult to serve the people and financiers at the same time. The same applies to vote buying. It can be comparable to business where vote buyers will do what they can after being elected to get ROI or return on investment. Stripping the campaign platforms off candidates, you will find out who they really are and what the main point of their candidacy is. The same movie, The Campaign showed that even the corrupt in the world of politics started with a noble purpose before power, fame, and fortune corrupted their virtues. Will Ferrell as Camden "Cam" Brady in the same movie, entered the world of politics during his school years because he wanted to remove the school slide that had caused countless injuries amongst students because of its protruding ripped side. Recently, I’ve heard a local lawyer who summarized the reason behind her desire to run for office when she clearly doesn’t need it. She had been slapped with the truth that the title before her name doesn’t count when it comes to approaching public offices. It’s easier to get things done and help people when you hold a government post. So it all boils down to her desire to serve. Another candidate on the other hand who can well be a center of criticism for being young and from the traditional politician type due to his family’s background also spoke that time. His training ground started early and through the guidance of older, experienced relatives and acquaintances. And despite being young and inexperienced with a more humble credential as compared to his other siblings; he was eager and excited to serve when it was his turn to do so. 2. 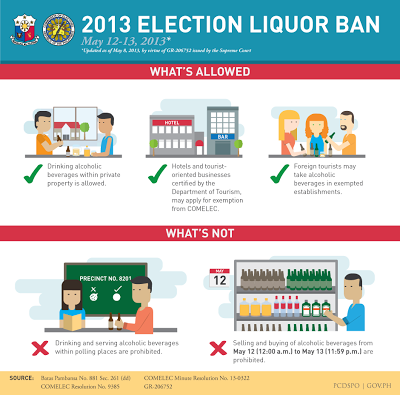 Do follow election gun ban and liquor ban. Saves you money and trouble too. 3. Do prepare your list of candidates beforehand. 4. Do not wear a t-shirt bearing the faces or names of your supported candidates inside the electoral precinct premises. It will prevent you from being allowed to vote. 5. Do not over vote. Excess votes will cause your entire ballot to be skipped by the PICOS machines so all your votes will be wasted. 6. Don’t bring your phone or if you can’t, just turn it off specially during the canvassing of votes to avoid jamming the PICOs machine’s signals. The same applies to Internet usage via WLAN or wireless. 7. Do not cheat by copying other’s votes. That’s the reason why there is a secrecy folder so you can cover the ballot paper. These election voting guide are as the word suggests, only a “guide.” Be a smart voter because the country and your local town or province’s future depends on your vote.